Contact us / FAQ: Please use the web form to the right, after first reviewing common questions/answers below to see if your question is already answered. How to email or call us. TIP: Are you looking for rates or availability, or just want to see photos or take a virtual tour of the house? Q: What is your pet policy? We allow well-behaved dogs of any size and their well-behaved human companions. Q: How do we book a reservation? Call us at 1-603-524-4000 (8am-5pm ET only). If you have any questions, use the web form to the right, or e-mail or call us. Q: Why do you request a phone call instead of doing online booking? We want to get to know the folks who stay in our homes a little. Our houses are designed to be comfortable and we want them to be taken care of. Each of them holds some of our family antiques -- meant to be used and enjoyed, but not abused. This home is very much a labor of love for us. We stay in each vacation home anywhere from 6 weeks to 5 months a year, depending upon the house. We want our guests to feel like they are using the vacation home of a friend. Q: Why do you ask for a check for your final payment? To help us keep rental rates for you as low as possible. Q: Idyll-by-the-Sea looks very big. Is Idyll too large for our small family? Are we going to feel lost? Although we allow up to 20 folks to stay there, some of our family groups are just 6, 4, or even 2, and find the house quite comfortable. We are just a family of four plus pup ourselves, and designed the home so we would not feel lost while in residence. Every single small family group we have had thus far has commented that though the house is spacious, they never felt overwhelmed -- that it was, in fact, very cozy, warm, and inviting. Q: Does Idyll have enough room for our large family? Let me answer by quoting one of the guests from June: "You have done an amazing job. Even as well done as the website is you can't appreciate the size of the house until you are there. We had thirteen people and three dogs and the general comment was that it never felt like you were on top of one another. There was ample room for our entire party to spread out and relax." We got similar comments form folks that have parties of 20 also. Q: Do you offer rental car discounts? Yes. Visit Idyll Rental Car Discounts for details. 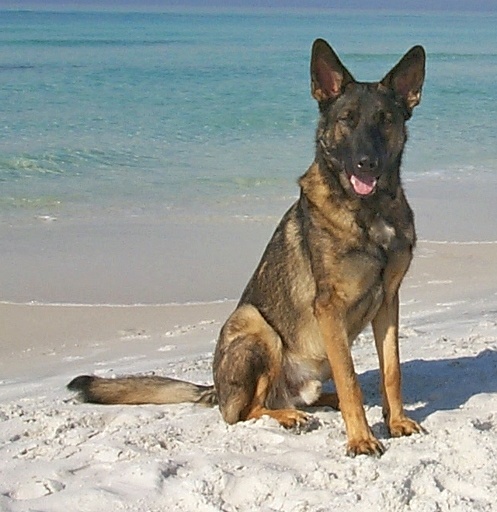 Q: Do you know of any good pet friendly hotels on I-95 as we travel to and from your vacation homes? Yes. Visit Where to say on I-95 for details. Q: Where are the best places on I-95 to buy inexpensive gas? Please visit our I-95 guide for details. Q: What are your Cancellation Policies? We are a small family-owned vacation rental company. Every guest reservation is both important and special to us. Reservations may only be cancelled within time frames specified in your signed lease (sample lease).